Primitive Country Friends - whether you are looking for any special folk art item, candles, dolls, antiques, prim, country decor. We have it all! Browse around and enjoy your visit. Our friends are filled with lots of primitive country antique products. Here at Barefoot Horse, everything is handmade by me. I have a variety of country, primitive & extreme primitive, including pumpkins, snowmen, soaps & candles. Come on in & browse abit. Featuring Handcrafted Signs, Shelf Sitter Blocks, Ornaments and More for Everyday and Every Season. Made Just For You in Our Little Maryland Shop. Handcrafted Custom Wood Signs, Family Name Signs, Seasonal Signs, Wood Block Sets and More! Delightful handmade dolls from Adorables to Primitives. You will find Raggedys, Santas, Snowmen, Witches,Pumpkins, Bowl Fillers, Ornaments, and more to buy for yourself or gift giving. Dolls are made by me in a smoke free enviornment, in my home. PictureTrail site with several albums of various smalls, primitives and Grandpa's Stuff to follow shortly. Get a sense of a simpler time. We have a wonderful collection of country and primitive home decor to make your house a home. Handmade Primitive Dolls - Santas, Witches, Prairie Dolls, Mammys and Black Dolls. Wholesale Available. 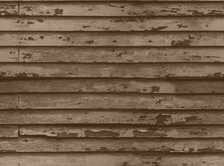 Creative, affordable web design for the Primitive at Heart. We offer a wide variety of coffee stained hang tags for primitives, vintage and antique wares. A huge selection of primitive signs, shaker boxes, game boards and photo frames for your prim decor. Take a step back in time to the historic Old Dyer Store, c. 1892, now affectionately known as Bessie Mae's. Located in the beautiful North Georgia town of Dahlonega. If you cannot visit us at the store, enjoy browsing our new website. Recapture the way things used to be! We specialize in Primitive, Country and Colonial Home Decor with quality products, large selection, affordable prices! Offering a collection of handpainted treasures for your home. Come check out our collection of gingers, raggedies, primitive and seasonal wares along with our handpainted wood signs. 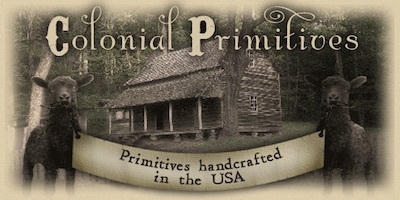 Primitive early look/Colonial style candles made with pure soy wax, all natural cotton wick, maximum early/Colonial scents. Tarts and other scented goodes too. Check our Bulk Buys section! !